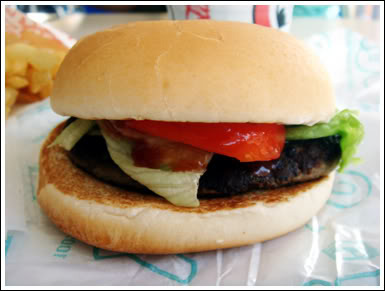 Finally, I had to conclude my burger blogging in the Philippines with none other than Jollibee! 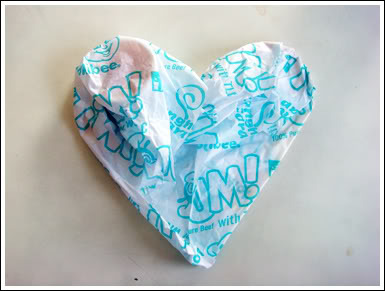 If you didn't already know, Jollibee is like the McDonald's of the Philippines. 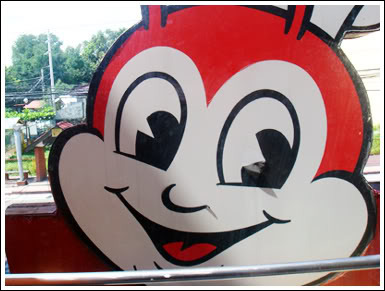 I remember the first time I went back to the Philippines ('97-'98), I was in love with Jollibee, not so much their burgers, though, but with their spaghetti! I never really got around to trying their burgers before, because I was so caught up with their unique menu options, that I wanted to try their Philippine-inspired dishes first, and never had time to try their burgers... until now! 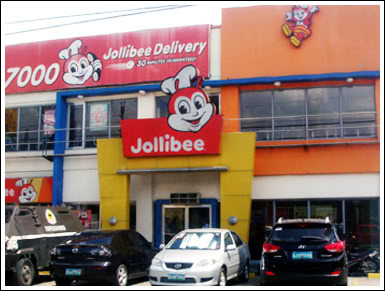 Like many of the fast food places and restaurants in the Philippines, Jollibee also delivers! 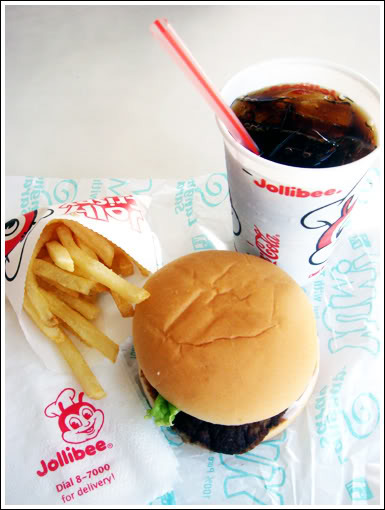 I was really eager to taste this burger, because I promised myself that if there was only one burger place I had to blog about in the Philippines, that it had to be from Jollibee. 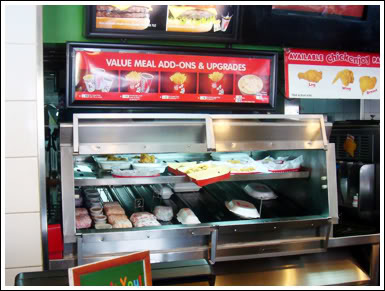 We don't have one here in Canada, and since Jollibee is the King of fast food in the Philippines, I made sure that I was not leaving without tasting and sharing this experience with all of you! But did my excitement trump the actual taste of the burger?? I would say so... 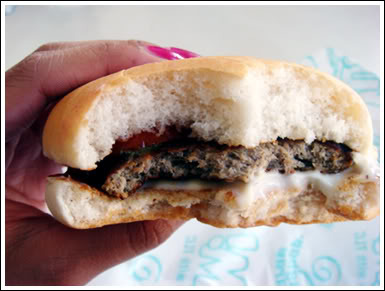 The patty was pretty much tasteless, and there was just too much bread! I'd love to think that I caught them on a bad day, but that shouldn't even be an excuse. 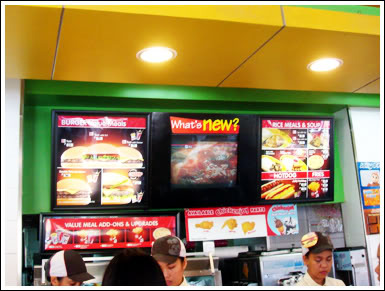 2.5 stilettos :( If you do happen to stop by a Jollibee anytime soon, though, you MUST try their spaghetti and their Chickenjoy... I swear by it!